The terrible events of 9/11 have changed us. Unpredictable situations like this are called Black Swan events and result in dramatic shifts in our society. What will be the next 9/11 life changing event? Everyone remembers where they were when the attacks on the towers took place on 9/11. We have now lived through over 10 years of post-9/11. What have we learned from 9/11? We are now more cognisant of the importance of low probability, high impact events. The use of airplanes as a terrorist tool was conjectured in fiction by Tom Clancy’s 1994 novel “Debt of Honor” where a Boeing 747 crashed into Congress. Events that occur unexpectedly are called Black Swan Events. They are those that surpass our limited ability to predict the future. I believe with 9/11 we also lost our innocence and naivety about North American self-containment. Aside from the Japanese bombing at Pearl Harbour, our continent was relatively isolated from war incidents. With 9/11, we were jerked into the reality of a global context. Our world is less trusting and filling with fear. The result of 9/11 is a world that is looking over its shoulder for the next calamity. Dan Gardner, who wrote Future Babble, observes that pundits are no better at predicting future events than the average person. It is a case of hit and miss. Gardner explains why our brains yearn for certainty about the future, why we are attracted to those who predict it confidently, and why it’s so easy for us to ignore the trail of outrageously wrong forecasts. I cite one example of a pundit’s hit, miss and recovery. I attended a seminar by well-known speaker Sherry Cooper, author of Ride the Wave. In her 2002 book, she predicted that we were in the start of an upwave that would last 20 years. Shortly after that, the dot com crash happened followed by the financial crisis in 2008. She quickly changed her story. She received the Lawrence Klein Awardfor U.S. forecasting accuracy in 2010, beating out a panel of 50 economists predicting the four-year period from 2006 to 2009. 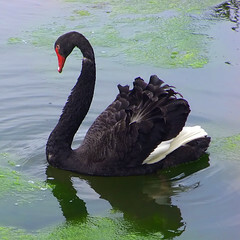 Many people are trying to anticipate Black Swan events. Specialists are using scenario planning as a tool to assess possible future events. They look at variables from political, economic, social, technological, legal and environmental lenses in an attempt to see dangerous trends and early warning signs. This scenario planning and preparation helped us avert a huge crisis during the H1N1 epidemic. Scientists predicted and prepared for an Avian Flu (H5N1) to come out of Asia. Plans were in place to manufacture massive amounts of vaccines in short notice, stockpiles of anti-virus medications were available. These preparations were instantly enacted when the H1N1 threat was identified averting many illnesses.